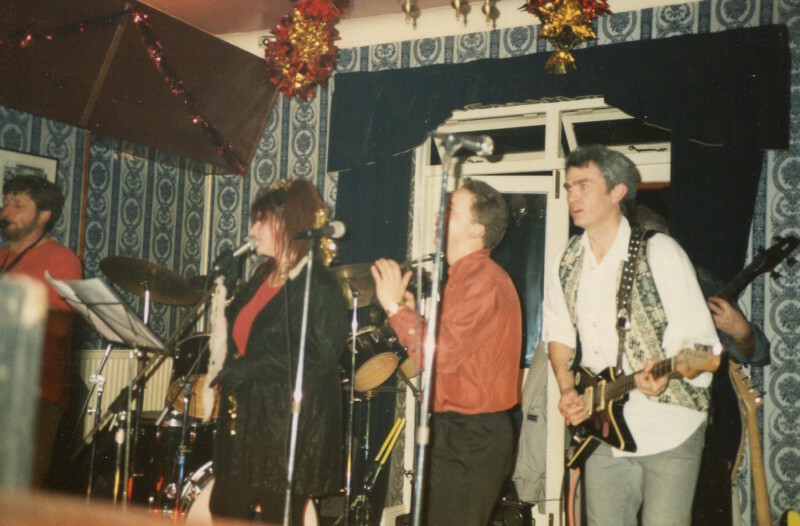 Mick Allen sax, Den Wootton drums, Mandie “B” vocals, Nick ?? vocals, Len Benton (out of shot) bass and Barry French guitar. Barry French… Can anyone confirm the name of the male singer Nick ???? A northern lad with a huge voice. I can’t remember his surname, he only played a few gigs then moved back north. I’m pretty certain that this was Mandie’s & Nick’s first gig with the band. I think I can answer that, the male vocalist in Soul X press back then was the fabulous Nick More.